A Merlot not shy in fruitiness and compact in flavours of multiple berries, plums and hints of chocolate and Vanilla on the nose. A Merlot not shy in fruitiness and compact in flavours of multiple berries, plums and hints of chocolate and Vanilla on the nose. 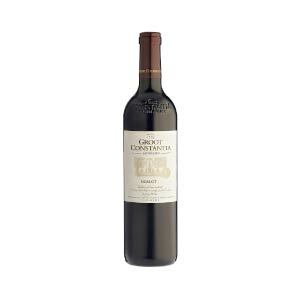 The fruits embrace the palate followed by a wonderful smooth lingering aftertaste making this a Classic style Merlot to be enjoyed for a long time. It is ready for immediate consumption, but has excellent maturation potential. To ensure maximum quality and complexity this wine has not been stabilized and filtered. Food pairing suggestions: Saddle of venison and red currant jelly.